Insulation slows down the conduction of heat, whether it is from the inside out in the winter or outside in in the summer. The slower the heat moves through your walls, ceiling, and floor, the less often it needs to be replaced by your furnace or removed by your air conditioner. This means less energy use, lower utility bills, longer HVAC life, and a more comfortable living environment. 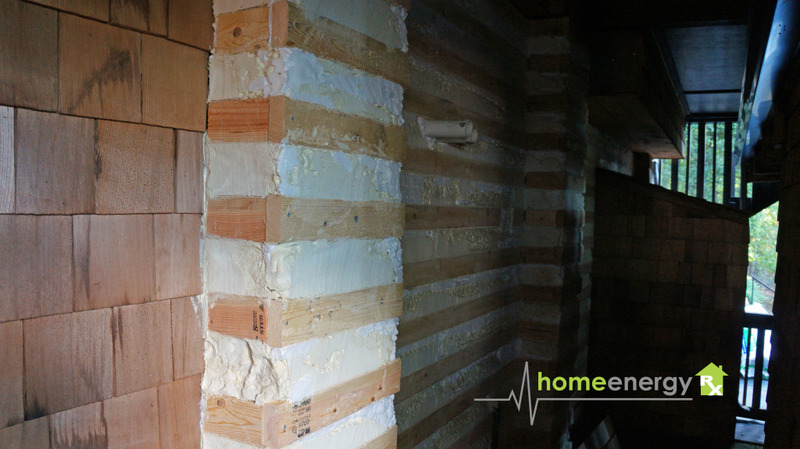 When it comes to insulation, more is better. But there is a point at which it becomes cost ineffective to keep adding insulation. In Arkansas that point is R-38 for attic insulation. (R-values are how we measure insulation value; it stands for the resistance to heat flow.) Wall cavities should be a minimum of R-13. Blown Insulation – There are two major types of blown insulation: loose cellulose and loose fiberglass. 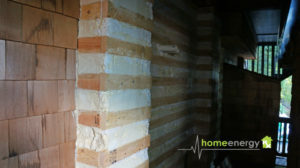 The benefits of loose-filled blown insulation is that it covers all the holes and nooks in an attic that fiberglass batt insulation typically doesn’t cover. 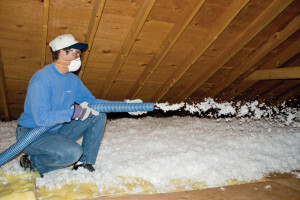 Fiberglass Batts– We rarely see properly installed fiberglass batts in an attic. When it is not properly installed, there are gaps between the batts and the attic floor and this creates convection, which then results in radiating heat transfer. In other words, it doesn’t insulate to its full potential vs. blown insulation. Fiberglass batts are good for wall insulation because it is much easier to install, but if money’s not an issue, then spray foam insulation is your best bet for wall insulation. Home Energy Rx has a state-of-the-art BPI (Building Performance Institute) Training Center and we are a Gold-Certified Contractor through BPI. Our training program includes top-notch training for spray foam, proper attic prep, and insulation. For a free estimate, please call (800) 585-8888.